Warning: Children, please don’t try this at home with your Mom’s good Wok – use beans instead of pebbles! 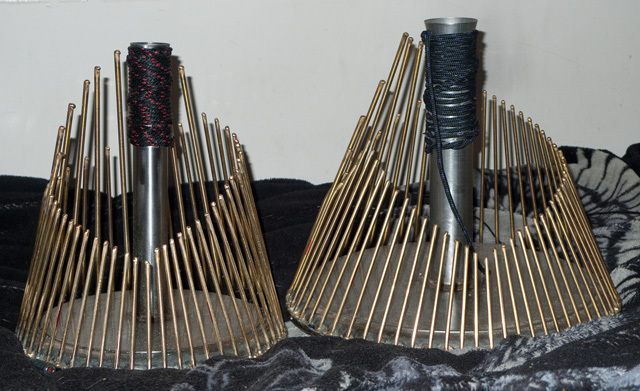 It seems that some of the most interesting percussion sounds around the city are available from things which people throw out carelessly. 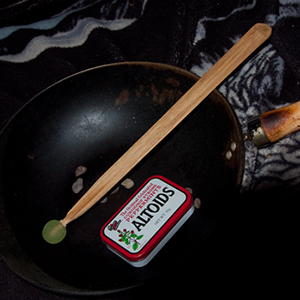 Some weeks ago, I picked up an old Wok and an empty Altoid mints tin… and that’s all I needed to make this little five minute soundscape – using a superball mallet and a few small pebbles as beaters. The “drum” beats are hits with a superball mallet on the Altoids tin, very much “enlarged” in my studio. The title is a reference to one of the first music projects I was involved in. There is one person following this site who might possibly get it, if he remembers (Hint: it was originally in Latin, and abbreviated the way Pharmacists abbreviate the names of substances…). As always: download it, slice and dice it and jumble it up, remix it… or, perhaps, just put it on your iPod and enjoy. 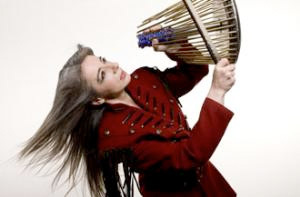 Dame Evelyn Glennie, the highly respected profoundly deaf percussionist, is playing a solo recital on Thursday November 24th at the CIT School Of Music – brought to you by the Cork Orchestral Society. COS members can buy tickets now (as of November 4th) at Pro Musica in Oliver Plunkett Street, Cork (I’ve got mine already). Ticket sales to the general public will open on November 14th. Please take note: The Curtis Auditorium at the School Of Music only has about 450 seats! 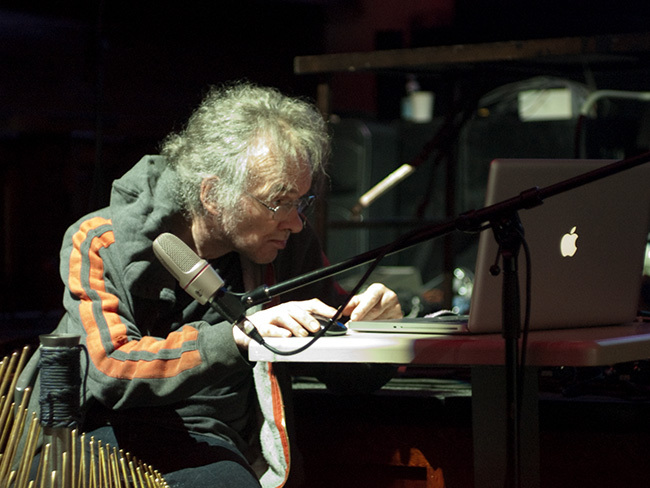 A solo percussion recital? Yes, Dame Evelyn can do it! 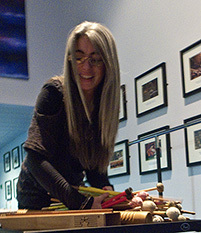 She is the first Solo Percussionist in the World – a career she actually created herself. Profoundly deaf? That’s true – that’s why I nominated her the Patron Saint of The Cork City Gamelan. The Cork City Gamelan promotes music making as an activity for people with disabilities.